Figure 2-6. A simple CW transmitter. energy by means of a modulator. 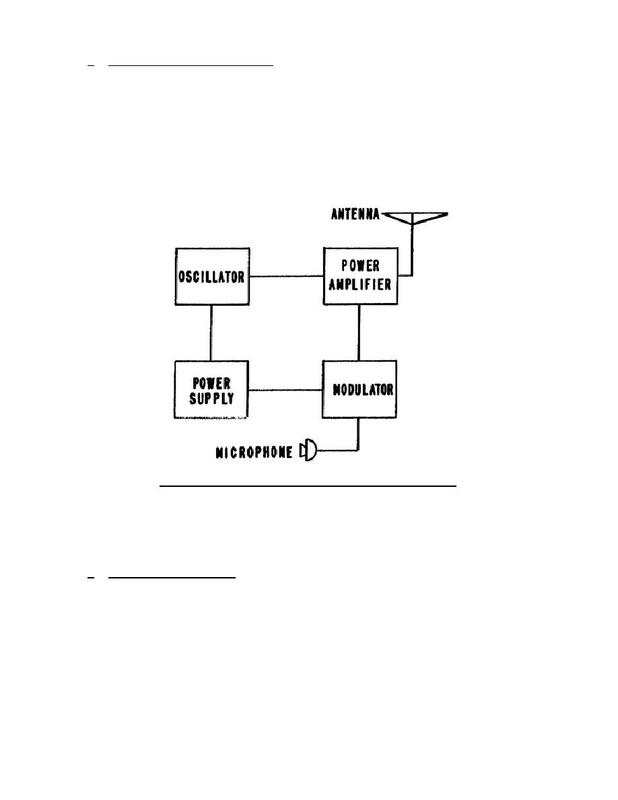 (1) Figure 2-8 illustrates a simple radiotelephone transmitter. amplifier, and antenna are the same in both transmitters. vary the power to the power amplifier at an audio rate. improves the performance of the transmitter. strengthens the voice signal to drive the modulator. information to the RF carrier. carrier with the audio signal from the microphone. requited and the waveforms produced by the process. (2) The microphone transforms voice (audio) signals into voltages.